The Romanov dynasty ruled Russia for almost three hundred years and their story exerts a lasting fascination, reaching a peak in the life and death of the last Tsar and his family. This unique book, an album of largely unpublished pictures drawn from archives and private collections, acts as a window into a lost world - the world of imperial Russia. In the 1850s the camera was seen as ‘a marvellous apparatus’, almost magical in its ability to record the world, and the Tsars embraced the new medium with delight. 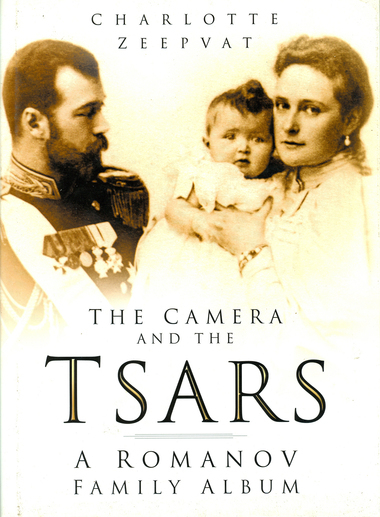 From the reign of Alexander II through to his grandson, the ill-fated Tsar Nicholas II, and beyond, the story of the imperial family is recalled in photographs, both formal studio portraits, some of which were intended for public view, and amateur snapshots. Some photographs recall the dynasty at work, showing the Tsars in all their power and wealth: the Empress of Russia in full Court dress, decked out with a dragon’s hoard of jewellery; the Tsar reviewing his armies; the Tsar at Court; the Tsar meeting world leaders – glimpses of things now long-gone. But the simpler things are more emotive: amateur snapshots from private albums which capture the imperial children at play, growing from infancy into adulthood, moments of relaxation, and the laughter and milestones of family life. These are a touching reminder that the Romanovs were, after all, just ordinary human beings who happened to be trapped on one of history’s most glittering stages.